It was a big deal last month when Pope Francis visited the United States. 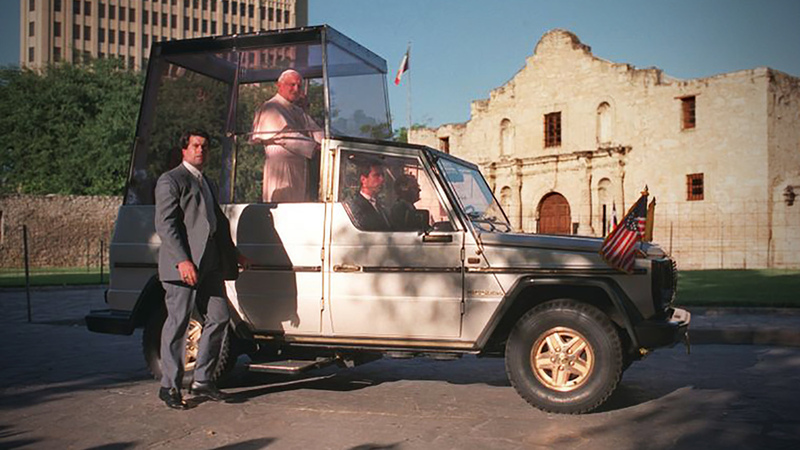 It was a really big deal when Pope John Paul II visited San Antonio back in 1987. For the ninth episode of The Works we tell the full story (for possibly the first time) of the agony and the ecstasy experienced by the young group of architects tasked with designing the grounds, altar and backdrop for the Pope's open-air Mass that was expected to draw 500,000 people. So do have a listen and as always if you like what you hear, subscribe to it on iTunes where you can also rate the show and leave a review - two things that help other people find the show.